While this is obviously an over simplification of a complex issue, it’s never the less an often unacknowledged contributor to higher than desired staff turnover and can result in significant organisational costs including. Many of these productivity draining consequences can be reduced or even avoided, and the efficiency, creativity and innovation of your business or department enhanced, with a small investment in the development of effective leadership skills, techniques, and priorities in your executive management team. It’s funny; but many companies don’t train and develop their employees for fear they will leave, when he facts show that developing their employees is more often than not an encouragement for employees to stay. In survey after survey on employee aspirations, the top desire cited by employees is training opportunities, (not salary increases) and by offering promising high-potential employees more extensive development opportunities, their engagement; and thus their inclination to stay with your company grows. But that’s just the tip of the iceberg when it comes to organisational benefits, because engaged and skilled employees not only make your work-force better employees, it contributes to the innovation and evolution of your organisation from within, which is what really drives the growth of businesses in modern economies, and can only be achieved over time, by successfully training and development your best people and training them as leaders and managers. In fact, in “Leading the Way: Three Truths from the Top Companies for Leaders (John Wiley & Sons, 2004), authors Marc Effron and Robert Gandossy show that companies that excel at developing leaders tend to achieve higher long-term profitability, and one of the main reasons for this is because businesses that retain their best people innovate and it’s innovation that helps businesses to remain competitive in today’s fast moving economies. By providing managers with leadership training to help them work more effectively with and through employees, for example, by giving feedback, engaging with and motivating employees, recognizing and rewarding employees; employee morale and engagement improve, as does team productivity and the quality of their work. Contrary to popular myth, leadership traits are not innate skills that some people are born with; managers need to learn and practice them, and having skilled trained leaders in management positions contributes to higher levels of staff retention and employee satisfaction, while simultaneously creating a work environment that fosters energy, innovation, high productivity and all the associated competitive benefits that highly functioning skilled workers bring to a business. 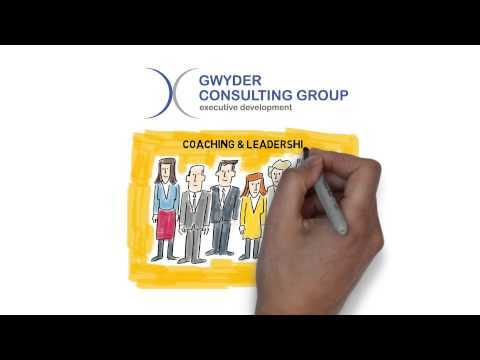 To find out more about how Gwyder helps organisations develop effective leaders that help companies grow and expand, download our free whitepapers on The Secrets of Effective Leadership. In it you will find a simple and yet powerful exercise that can help managers identify issues that may contribute to staff turnover in your organisation the next 6 months, and deal with it simply and powerfully, in a short period of time.